Examining Sunday School from the outside, it may appear the only person in Sunday School with a significant responsibility is the teacher or group leader. In reality, successful groups have many members engaged in some type of responsibility. Think about various people engaged in the life of the group. Someone is responsible for keeping attendance and other records. Food and coffee are prepared each week. Phone calls are made to those absent. Meals are prepared for those in need. Mission projects are chosen and promoted. In reality, effective Sunday School groups have many people involved in various roles and tasks. 1. Responsibility encourages people to be faithful. It is just a reality — when a person has a responsibility, that person is more likely to be faithful in attendance. Those with no responsibilities are less likely to be as faithful as those who take their responsibilities seriously. Life happens. Some Sundays we wake up not feeling so well. A beautiful Sunday morning may entice us to head early to the lake or for a drive. Sleeping in sounds appealing after a busy week. Don’t tell me you haven’t entertained those thoughts! What likely was a determining factor in you choosing to go to church? Responsibilities. You knew you had a responsibility and others were depending upon you to fill them. 2. Responsibility encourages people to use their gifts and talents. Every person has spiritual gifts, talents, and abilities. And yet many people never use them in church life. Perhaps they have never been asked to accept a responsibility. Perhaps they are shy to speak up and volunteer. Perhaps they would never use them in the context of larger church life. Sunday School is a great place for people to engage — to use their gifts, talents, and abilities. And by the way, people are much more likely to be fulfilled and happy when they are involved, rather than simply a spectator. 3. Responsibility encourages people to engage with others. Few roles in Sunday School operate in isolation. The person in charge of food enlists others to help. Those making phone calls are talking with other group members. Greeters visit with every person coming through the door. Sunday School is not intended for people to attend, sit in a row, listen to a lesson, and leave. Sunday School should encourage members to engage in the lives of other members, developing friendships, meeting needs, celebrating together, and more. Ideas for Engaging Group Members. Can Think of More? Teacher. Apprentice. Associate teacher. Food preparation. Coffee maker. Room set-up. Records keeper. Care group leader. Mission project team leader. Group greeter. Curriculum manager. Prayer leader. Social media champion. Vacation Bible School liaison. Party planner. Phone and text team. Have you seen the name tags with the bold letters at the top that say “Hello, my name is …”? I have worn more than a few of them through the years. I have to confess, I really like name tags. Part of the reason is because I am a visual learner. I can hear someone’s name and forget it before the conversation has even concluded. But when I see the name, I am much more likely to remember it — at least for a little while anyway. Name tags are more than just tradition for groups. In fact, they might be one of the first steps to disciple-making. 3. Use name tags to help get to know one another. Have members write their first name in big, bold letters; last name in smaller letters. Underneath the name have them respond to a question of the week. These questions might include: month of birth, state of birth, favorite color, number of states lived in, etc. This can be fun and informative. I read a book many years ago called Keys to Effective Motivation by Reginald M. McDonough. One of the keys he mentions is affirmation. In creating a climate of motivation, the author states it is essential for leaders to constantly affirm those around them, particularly those in responsible positions. Look for reasons to affirm group leaders and acknowledge them personally. That affirmation might be with a phone call, hand-written note, or in person. Wondering who to affirm? Who had a new member in the group last Sunday? Who faithfully teaches week after week? Who comes early to make sure the environment is ready for the group? Who does a good job in ministering to their group? Who provides opportunities for outside gatherings of fellowship? Who reaches out, inviting people to attend their group? All of these are reasons for recognition and affirmation! Look around. There are dozens of reasons we can affirm our Bible study leaders. No motivation key is more important than personal recognition from the ministry leader! But there are times when that recognition should go beyond the personal level to public recognition. So when should the affirmation be public? Publicly acknowledge success and work when that recognition might be the motivational key for others to follow or emulate. For example, publicly acknowledge a Bible study leader who has started a new group. That action might be the encouragement needed for others to do likewise. One strong means of affirming Bible study leaders is providing all the resources they need to do the work. 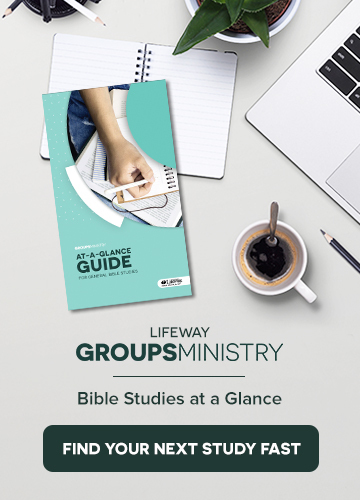 For Bible study leaders, they should be provided (minimally) a leaders guide, a Bible commentary, optional teaching plans, and a teaching pack. Over the past years, some churches have chosen to cut back on providing resources for their Sunday School leaders. Think about that. If there is one area a church should not cut back, it is here! Cut back on some activities. Reduce utility costs. Enlist volunteers instead of paying for services. But don’t cut back on providing the resources needed for Bible study leaders! Providing the resources proves the importance and priority of the Bible study ministry. Does It Matter Whether You Call It Sunday School or Another Name? Over the past years, church leaders have given various names to their Sunday morning Bible study ministry. Sunday School has been the universal name churches have used for decades. That name originated from a school for children that used the Bible as its textbook. That school met on Sunday; thus the name. a new name might provide a renewed emphasis on the ministry. So other names have appeared. Connection groups, LIFE groups, small groups, fulfillment hour, Bible fellowship groups, and more. 1. The name impacts those inside more than those outside. The unchurched of today are second and third generation unchurched. They have little knowledge of church and church ministry. Other than weddings and funerals, many unchurched have little direct contact with the church. Therefore, to choose a certain name for your Bible study ministry and expect that name to impact those outside the church is probably wishful thinking. The reality is the name impacts those already inside the church by addressing the function or purpose. “Connection groups” indicate the purpose of connecting people to one another and to the Word. “LIFE” is an acrostic many churches use to describe the function of the groups (example: Learn, Involve, Fellowship, Evangelize). Small groups indicate the necessity of the groups being intentionally small so relationships can develop. 2. A name change can be confusing. Some church leaders feel a new name will bring new enthusiasm and life within the ministry. That is entirely possible. “New” can be the leader’s best friend. Without a doubt, there is power in “new.” At the same time, if a church has a long history with a certain name, changing that name can bring about confusion and questioning. Some may think leaders are doing away with a ministry, when in reality, a change of name is all that is desired. 3. The name must be branded. Simply giving a name to a ministry means very little unless that name is branded. In other words, people must know and understand the ministry when they hear the name. Most church members know Sunday School is a ministry of groups studying the Bible on Sunday mornings. Regardless of the title, church leaders must develop a diligent plan to insure people know the function and purpose when they hear the name.